Leonard Waxman graduated from McGill University Law School in 1969 and he was called to the Bar in June 1970. He practices exclusively in the areas of criminal, penal and disciplinary law. In 1975, he was a founding member of a criminal defence law firm which eventually became Waxman, Dorval and Associates until December, 2013 at which time he returned to practice as a sole practitioner. Leonard’s practice includes all types of criminal litigation and appeals. He also assists clients with cross-border issues relating to criminal and regulatory matters. His name appears on a referral list given by the U.S. Consulate to American citizens encountering legal problems of a criminal or penal nature in Quebec. 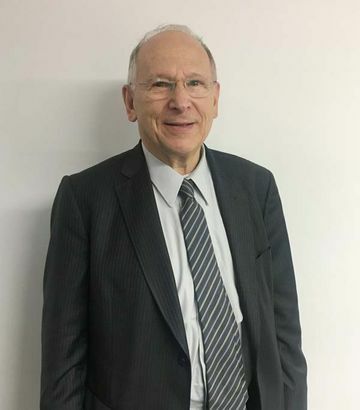 He began his career as a criminal defence lawyer with the Montréal Legal Aid Office in 1971 and in 1973 he went into private practice as a sole practitioner. Practicing primarily in Montréal, Leonard has represented clients in many districts of Quebec, as well as in Ontario, New Brunswick and the Northwest Territories. He is proficient in English and French. Leonard takes a low-key tenacious approach, and attempts to minimize all types of exposure for his clients. He tries to solve the problem with the least amount of publicity and harm to the reputation of his clients. He is a skilled negotiator who habitually resolves matters to their satisfaction. He has had various cases cited as jurisprudence. For legal counsel, please contact LEONARD WAXMAND ATTORNEY today. including evenings, weekends and holidays.